London Southend Airport sees a fairly regular influx of passengers on a day-to-day basis. It’s yearly numbers sit in the region of over one million, quite a sizable amount considering the airport only flies to a handful of destinations. However, it’s not necessarily the travel that attracts people to this part of the world. Rather, it might be the strange-goings on that has everyone showing up to the airport in their thousands. Travelers weren’t expecting anything monumental to happen when they visited London Southend airport one day in March. They were just there to go for a European vacation or meet with visiting friends and family. However, as they were walking through the building, something caught their eye. They soon formed a circle around a large, open space, and they were amazed by what they saw. At the center of the circle was a girl dressed fairly casually in a green jacket and black trousers. At first, she didn’t do anything, but then the music started up out of nowhere, and she began moving. The way she kicked her legs as she bounced in place quickly revealed what she was doing – it was an Irish dance. Considering London Southend airport includes flights to Dublin as one of its few travel destinations, this dance style was certainly befitting. However, this was just the beginning. After dancing by herself for a brief moment, a guy entered the circle. However, rather than approaching the girl, he simply walked past her and stood in place by her side. Then, in the blink of an eye, he was copying her movements as they danced perfectly in time to the music. It was pretty clear he wasn’t just some stranger who’d decided to have a go at Irish dancing. The two of them had rehearsed this together, and they weren’t the only ones. A few seconds later, the pair were joined by another guy and girl who were perfectly in-sync with their movements. This continued for quite some time, with more and more dancers joining the mix one after another. Every time the camera panned to the audience and back again, there was a smattering of new people showing off their Irish moves. It was quite an impressive sight to see, especially in the middle of an airport. What was the point of it all though? Following several impressive minutes of Irish dancing, the point soon became clear. The dancers all removed their jackets to reveal shirts emblazoned with the airport logo and information about Aer Lingus. These people had been hired to perform a flash mob to help promote flights to Dublin via the Irish airline. Judging from the huge round of applause the guys and girls received after their performance, the advertisement had been a success. 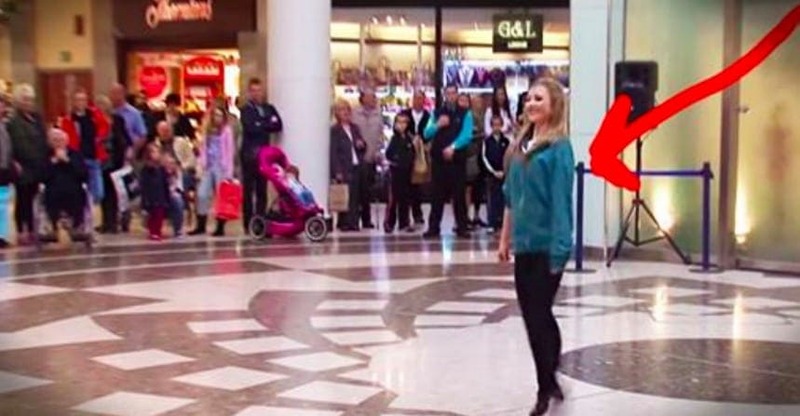 It’s not every day you come across a flash mob; especially one pulled off so expertly. The reason for it might not have been as exciting as other viral videos, but we reckon it was still quite a phenomenal thing to experience live. How Do Low Cost Airlines Make Money?